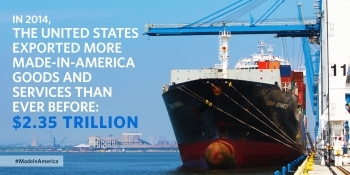 New trade agreements are about more than just global market opportunities. They are also essential to ensuring fairness for our businesses, to upholding our values worldwide, and to advancing our global economic leadership. We must ensure that American companies can enter foreign markets on fair terms. Our domestic market is already the most open in the world, with low tariffs on foreign goods that are sold here. However, many of our trading partners have placed large tariffs on U.S. goods sold in their markets, making high-quality American products like cars, food products, chemicals and others too expensive for consumers. This inhibits the competitiveness of American businesses that sell abroad, and the implementation of new trade agreements will help ensure our firms can operate on a level playing field. In addition, we know that when the United States puts in place new trade agreements around the world, we have an opportunity to promote our values and raise global standards. From the environment to labor to intellectual property rights, we believe there is a way to operate in the 21st century that is defined by fair wages, a safe workplace, and a protected environment. These types of standards are taking center stage in the trade agreements currently under negotiation. 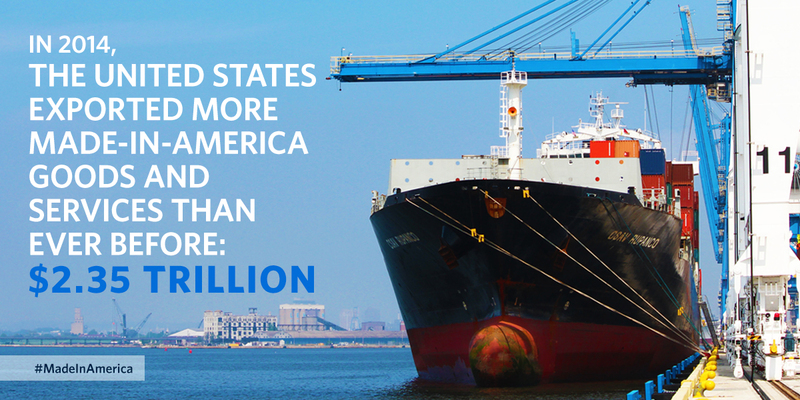 New trade agreements will also help America assert our global economic leadership. In an increasingly interconnected world, our competitors are not standing still. In the absence of American leadership on trade, other countries will set the rules of the road for the 21st century with weaker standards – which will leave American workers and businesses at a competitive disadvantage. With our leadership, through TPP, we are bringing together critical strategic alliances with partners around the world – ensuring that the United States continues to shape and define the global economic landscape.